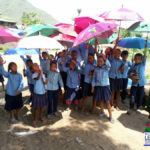 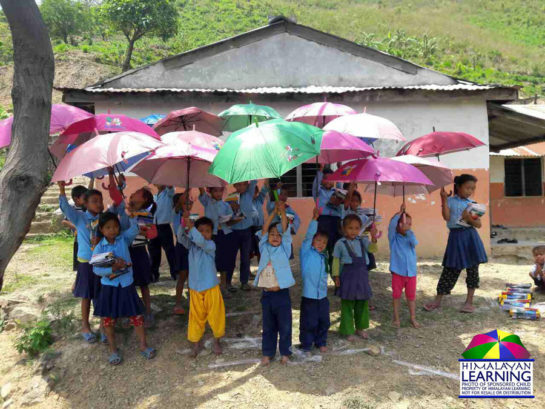 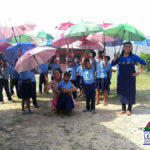 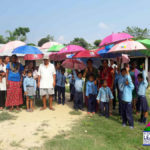 Himalayan Learning volunteers passing out new uniforms and stationary give children in nine schools a big surprise with new umbrellas. 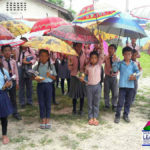 Umbrellas are great in the monsoon (which just started) because most of the children have to walk between 30 minutes and two hours to get to school. 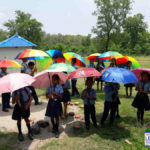 Attendance rates in school go down during the monsoon rains as many children do not want to walk to school when it is raining so hard that all their clothes and books will be wet.